What a fall for art in the US! 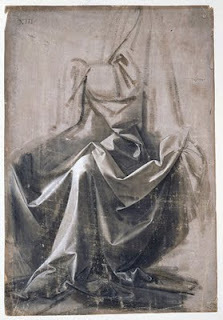 I've previously blogged about finding Michelangelo in New York and Ft. Worth as well as Caravaggio in Chicago. Well, now add Minneapolis to your list of cities to visit this fall. Personally, I love Minneapolis -- the sculpture garden, the Minnesota Orchestra, the downtown Dayton's (now Macy's) -- Minneapolis is a fabulous city. And this fall there's one more reason to love Minneapolis: the Minneapolis Institute of Arts is host The Louvre and the Masterpiece, a special exhibit. Featuring works by greats including Georges de La Tour, Johannes Vermeer, Leonardo da Vinci, and Michelangelo amongst others, the exhibit explores one of art's enduring questions: why is this piece better than that one? The exhibit opened October 18 and is on until January 10, 2010. I'm headed there in November, and you can expect a full report! You can download the exhibit audioguide from the MIA website for FREE! That's right! You can rent it at the museum for $4 or download it before you go and listen on your phone or iPod for free. Very cool! * Images courtesy of the Minneapolis Institute of Arts. Not to mention Leonardo in Atlanta!!! Alexandra,thanks for leaving the link! Totally worth making a trip to Atlanta, too! 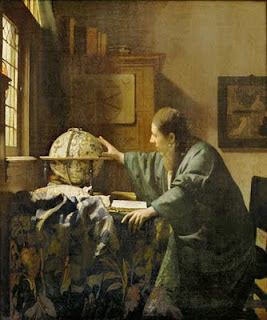 The Louvre has two (of the few) Vermeer paintings and they are both travelling (one in Tokyo I believe)! OK! Good if you can take advantage! awesome!! i LOVE the MIA. i think we need to plan a trip! too bad they chose when it was getting colder out, eh? I'm thinking of taking the kids to this exhibit tomorrow. Thanks for the tip about the audio guide--I'm checking it out now.